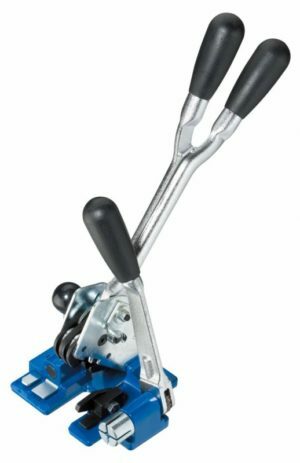 Hand operated manual combination type (tensions and crimps) strapping tool with built in tensioner unit, crimping unit and cutter. Designed to tension 12mm PP (Plastic) strapping around cartons. For use only with 12mm (UP12) open metal seals. Recommended for low volume applications.